Solon (Graece Σόλων) fuit archon Athenis anno 594/593 a.C.n., vir politicus rei publicae peritus, nomothetes, poeta Graecus. Natus est a nobilibus parum? divitibus. Illo tempore, civitas Athenarum contentione divitum atque pauperum fissa est. Solon omnibus persuasit ut concordiam colant. Is carmina de re publica, de vita hominis, de iustitia composuit. Etiam servos ex aere alieno liberavit. Hudaon-Williams, T. 1926. Early Greek Elegy: Ekegiac Fragments of Callinus, Archilochus, Mimmermus, Tyrtaeus, Solon, Xenophanes, and Others. Taylor and Francis. ISBN 0-8240-7773-3. Miltner, H. 1955. Fragmente / Solon. Vindobonae. Mülke, Cristoph. 2002. Solons politische Elegien und Iamben : (Fr. 1–13, 32–37 West). Munich. ISBN 3-598-77726-4. Preime, Eberhard. 1940. Dichtungen: Sämtliche Fragmente / Solon. Munich. Ruschenbusch, Eberhard. 1966. Nomoi : Die Fragmente d. Solon. Gesetzeswerkes. Wiesbaden: F. Steiner. Andrews, A. 1967. Greek Society. Penguin. Blok, J., et A. Lardinois, eds. 2006. Solon of Athens: New Historical and Philological Approaches. Leiden, Brill. Cary. 1925. Cambridge Ancient History, vol. 3. Cantabrigiae: Cambridge University Press. Connor. 1971. The New Politicians of Fifth-Century Athens. Princeton. Connor, W., et al. 1990. Aspects of Athenian Democracy. Hafniae: Museum Tusculanam Press. Develin, R. 1977. Historia 26. Ehrenberg, V. 1973. From Solon to Socrates: Greek History and Civilization. Routledge. Ellis, J., et G. Stanton. 1968. Phoenix 22: 95-99. Forrest, G. 1995. Greece: The History of the Archaic Period. In The Oxford History of the Classical World, ed. J. Boardman, J. Griffin, et O. Murray. Novi Eboraci: Oxford University Press. Frost. 1976. Tribal Politics and the Civic State. AJAH. Garnsey, P. 1988. Famine and Food Supply in Graeco-Roman World. Cantabrigiae: Cambridge University Press. Goldstein, J. 1972. Historia 21. Grant, M. 1988. The Rise of the Greeks. Novi Eboraci: Charles Scribner's Sons. Harris, E. 1997. A New Solution to the Riddle of the Seisachtheia. In The Development of the Polis in Archaic Greece, ed. L. Mitchell et P. Rhodes. Routledge. Hignett, C. 1952. A History of the Athenian Constitution to the End of the Fifth Century B.C. Oxoniae. Hubbard, K. 2003. Homosexuality in Greece and Rome: a sourcebook of basic documents. University of California Press. Innis, H. 2007. Empire and Communications. Rowman and Littlefield. Kirk, G. 1977. Historia. 26. Lewis, D. 1963. Cleisthenes and Attica. Historia 12. Miller, M. 1971. Arethusa. 4. Morris, I. 2005. The Growth of City States in the First Millennium BC. Stanford. Mosse, C. 1979. Comment s'elabore un mythe politique: Solon. Annales 24. Ostwald, M. 1986. From Popular Sovereignty to the Sovereignty of the Law: Law, Society and Politics in Fifth-Century Athens. Berkeley. Rhodes, P. 1976. A History of the Greek City States. Berkeley. Rhodes, P. 1981. A Commentary on the Aristotelian Athenian Politeia. Oconiae: Oxford University Press. Robb, K. 1994. Literacy and Paideia in Ancient Greece. Oxoniae: Oxford University Press. Sealey, B. 1960. Regionalism in Archaic Athens. Historia 9. Stanton, G. R. 1990. Athenian Politics c. 800–500 BC: A Sourcebook. Londinii: Routledge. Woodhouse, W. 1938. 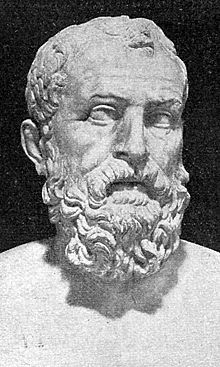 Solon the Liberator: A Study of the Agrarian Problem. In Attika in the Seventh Century. Oxford University Ptess. Novissima mutatio die 7 Iunii 2017 hora 12:40 facta.